Drivers across the country are being warned to delay their holiday journeys until Sunday July 15 if possible, as road traffic monitoring service Bison Futé predicts a gridlocked “red” day on Saturday July 14. This weekend is the second of the summer school holidays. On Saturday July 14, the traffic service has classed the entire country as “red”, warning of “very difficult” roads in the “leaving” direction towards the provinces and the Mediterranean. The Bison Futé warning system - increasing in severity of traffic - ranges from green (normal) to orange, to red, to black (total gridlock). 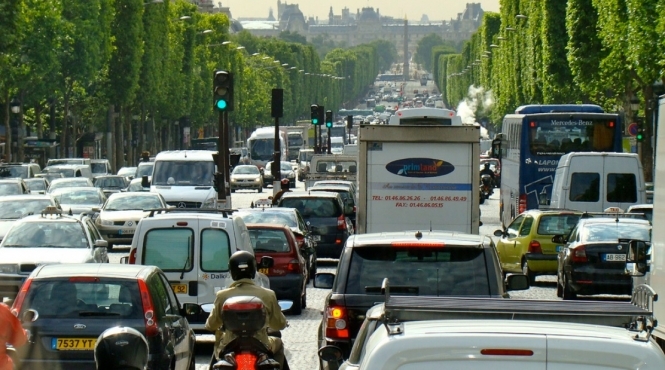 Traffic is already expected to be difficult today (Friday July 13), with roads in the leaving direction - towards the Mediterranean and Spain - classed as orange countrywide, and red in and around Paris. In contrast, Sunday is set to be green throughout, except for an orange level of traffic in the Auvergne-Rhône-Alpes region, towards some holiday destinations. In the “return” direction, the entire country is still classed as green (normal circulation) on Friday, Saturday and Sunday except in the Auvergne-Rhône-Alpes again, which may see an orange level of traffic on Saturday. Bison Futé is also warning travellers of the risk of forest fires. Half of all fires are said to be caused by carelessness, the service warns, and reminds drivers to never throw cigarette butts out of car windows or into vegetation when stopped at service stations or motorway rest areas.